Pizza is one of my favourite food groups (pasta and coffee are tied for first). I waitressed at the best pizza place in Bolton for nearly ten years, so when I say that I understand pizza I mean it. From the dough to the sauce to the toppings, everything must be calcualted and made with love. My favourite pizza was made by Domenic Caruso during our lunch breaks. Although the pizza he made was normally thick crust to hold the toppings, for lunch he would make the staff the thinnest crust imaginable. The toppings included broccoli, prosciutto cotto, diced white onions, mozzarella cheese, NO SAUCE, and homemade spicy oil. It was heavenly. I’ve never come close to having pizza I enjoyed as much as my ex-boss’ until now! Did you know that October is Pizza Month!? 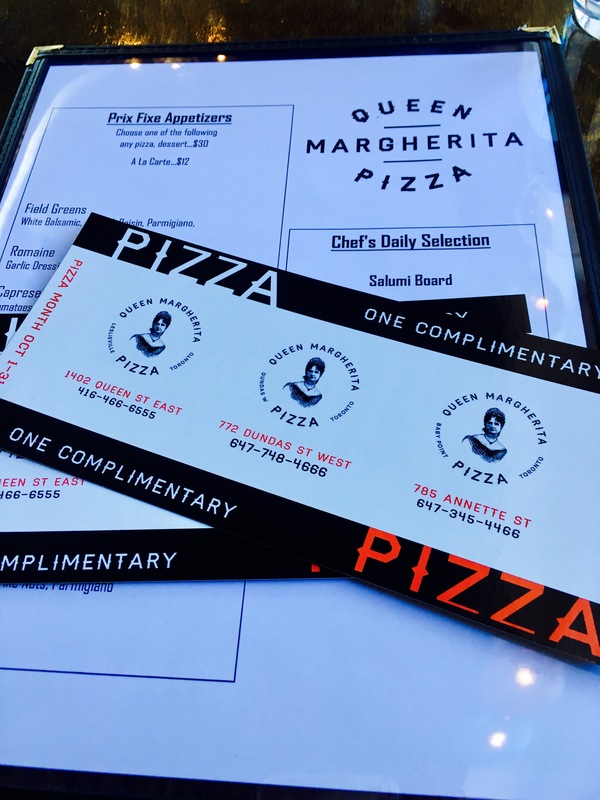 To celebrate I was sent a gift certificate for Queen Margherita Pizza by my friends at Brand & Buzzing. Alex and I used it as a an excuse for date night. We headed to the Annette location with nothing but time and empty stomachs. We started with the grilled kale and fried calamari – both were amazing! Then moved onto the margehrita pizza. The dough was light and thin, the sauce not too sweet, the cheese utterly delicious, the basil and sprinkle of olive oil gave the perfect balance. Alex and I agreed that QMP would be our new go-to pizza place. Are you ready to celebrate Pizza Month? 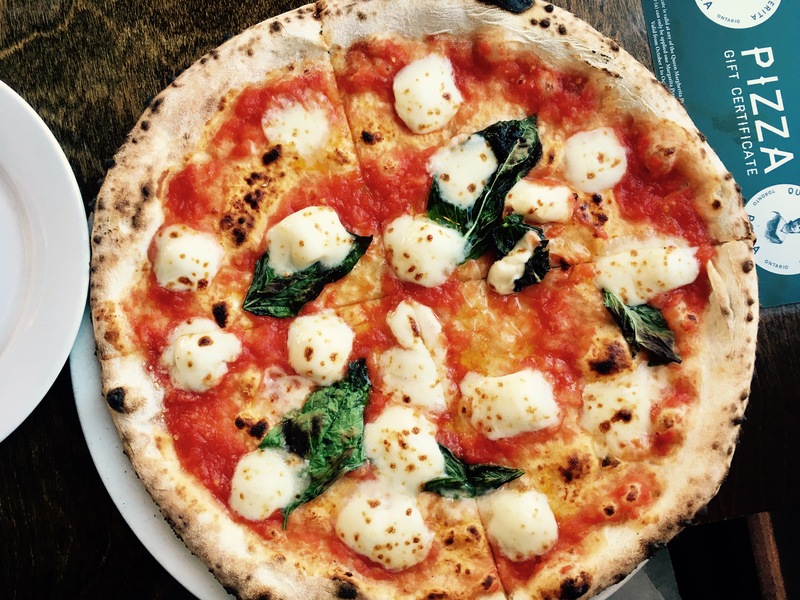 QMP is offering margherita pizza + beer = $10 at all 3 locations! P.S. This isn’t an ad. I went, I saw, I ate, and I wrote about it. I don’t write about things, places, books, or meals I don’t like. There’s enough negativity in this world.